This is the number 1/38 of the edition. 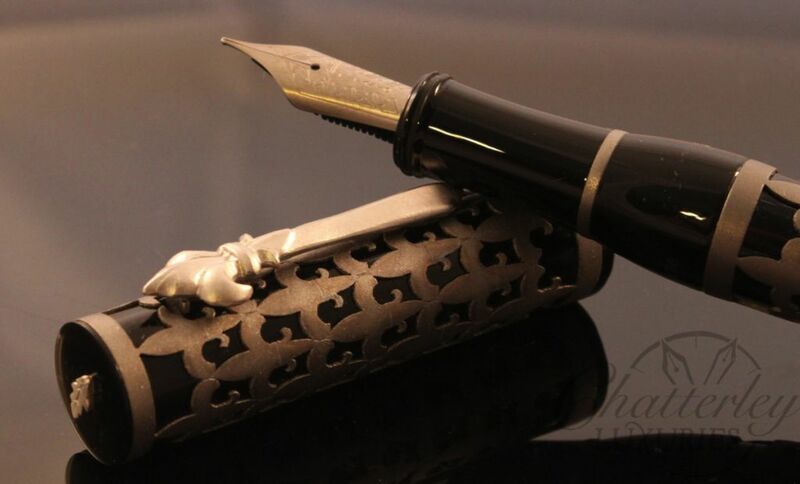 Stipula and Chatterley pens proudly present the third in the Fleur Di Lis line of overlay pens, the Titanium Fleur Di Lis. 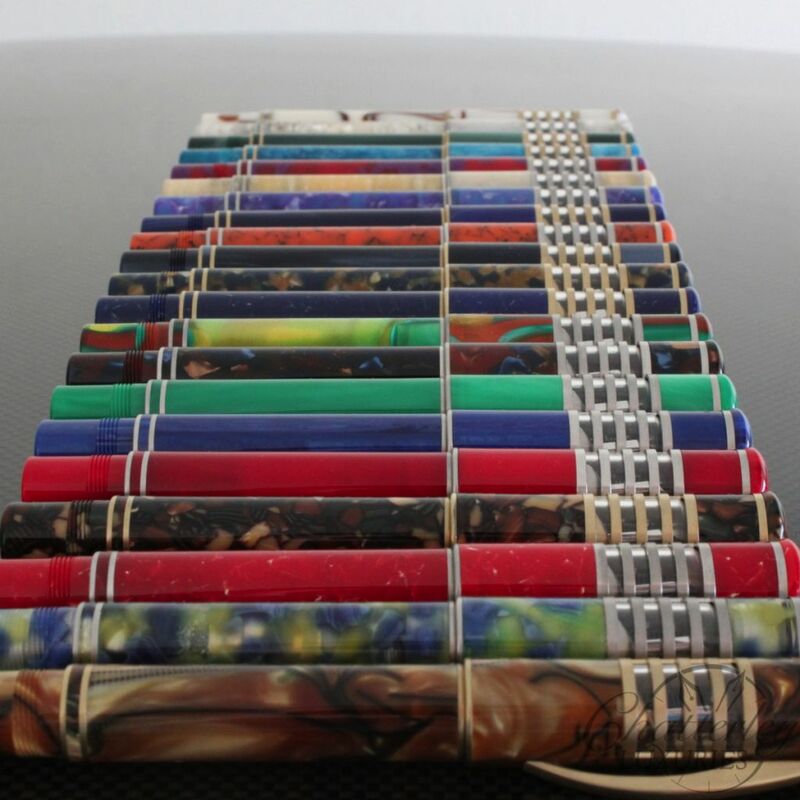 This beautiful overlay pens overlay is made out of Titanium in a matte finish over black resin. The Clip is made out of Sterling Silver with a Matte Finish to match the Titanium Overlay. 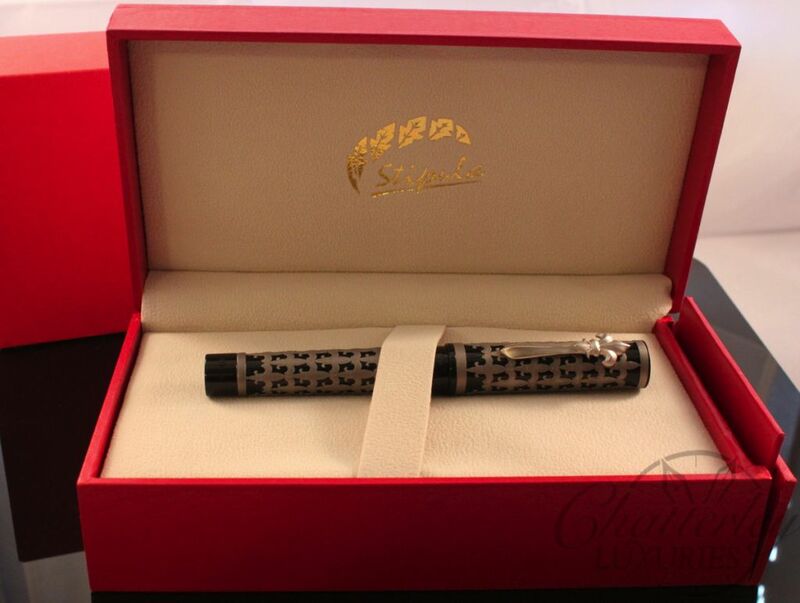 The overlay covers the full pen, in a symmetrical pattern of repeating “Fleur de lis” . The details up close are clear and from far away it is not too flashy, the dark richness of the titanium are complimented with the black resin in a striking manner. The Overlay is smooth to the touch and each “Fleur De Lis” is lightly engraved to it gives the appearance that each one is separate. The overlay flows down the pen in an even fashion. 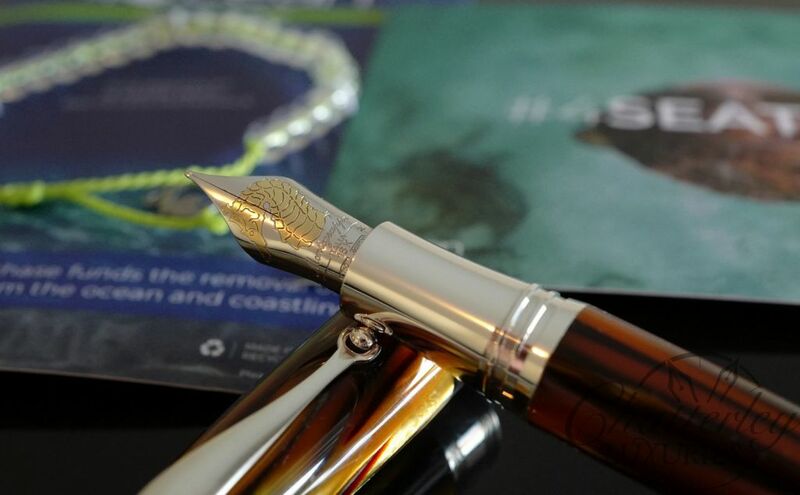 The pen fills with the Stipula in house piston filler and uses a Titanium T-Flex nib, which is between a fine and medium grade. 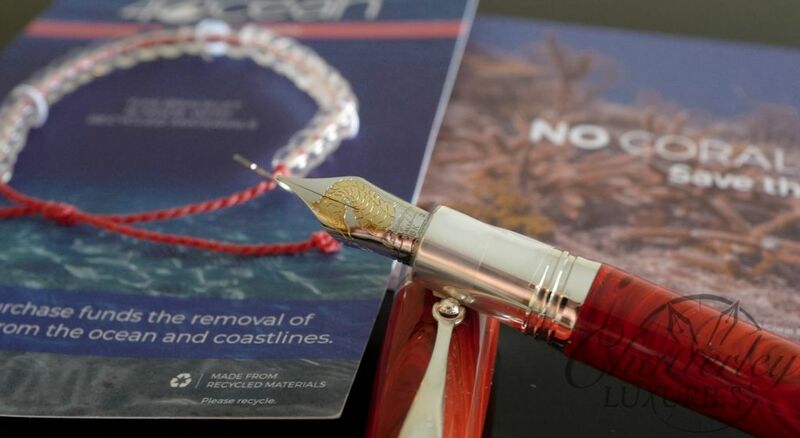 A pen like this should have an MSRP of about $1095, but we strive to give our customers amazing pens, superb service and great pricing, and this pens price is no exception. 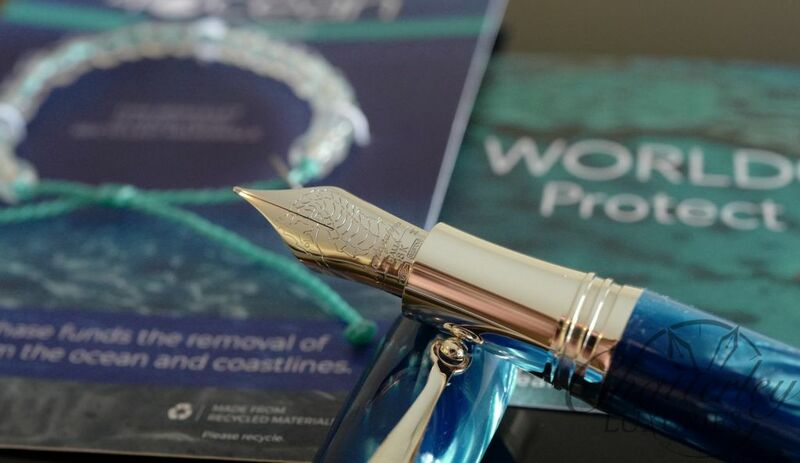 This pen is numbered and limited to 38 pens worldwide.